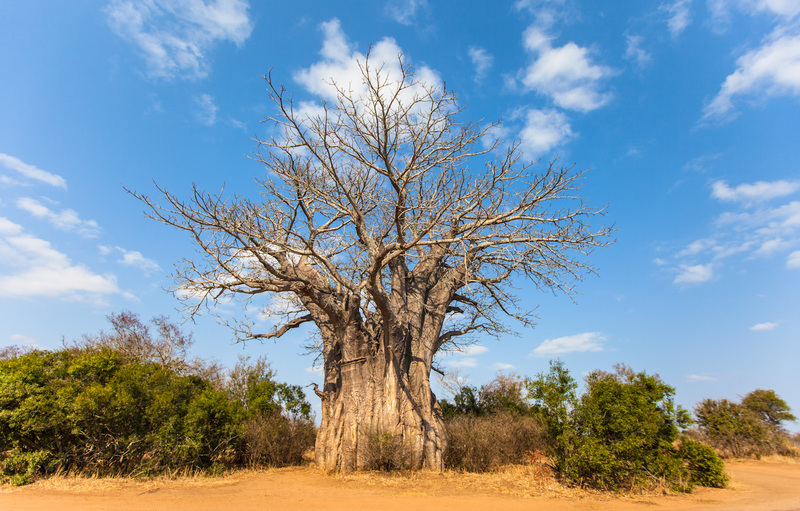 According to African legend, long, long ago the first baobab tree sprouted beside a lake. As it grew, it surveyed the other trees and admired their colourful flowers, their tall, straight trunks and their beautiful green foliage. One day the little tree was tall enough to see its own reflection in the lake. It was dismayed at the sight! Its trunk was short and fat, its leaves were sparse and dull and its bark looked like the wrinkled hide of an elephant. The tree implored the Creator to change its appearance, but its request was ignored. Day after day, it watched the beautiful trees, compared them to its own reflection, and cried to the heavens. One day the Creator had had enough, reached down and unearthed the tree. Turning it upside down, the Creator replanted the tree with its branches in the earth, and its roots in the sky. From that day on the baobab tree was silenced, and as penance has served animals and humans with good deeds ever since. These beautiful trees are grown in 32 African countries, and are revered by many tribes, even worshipped by some. 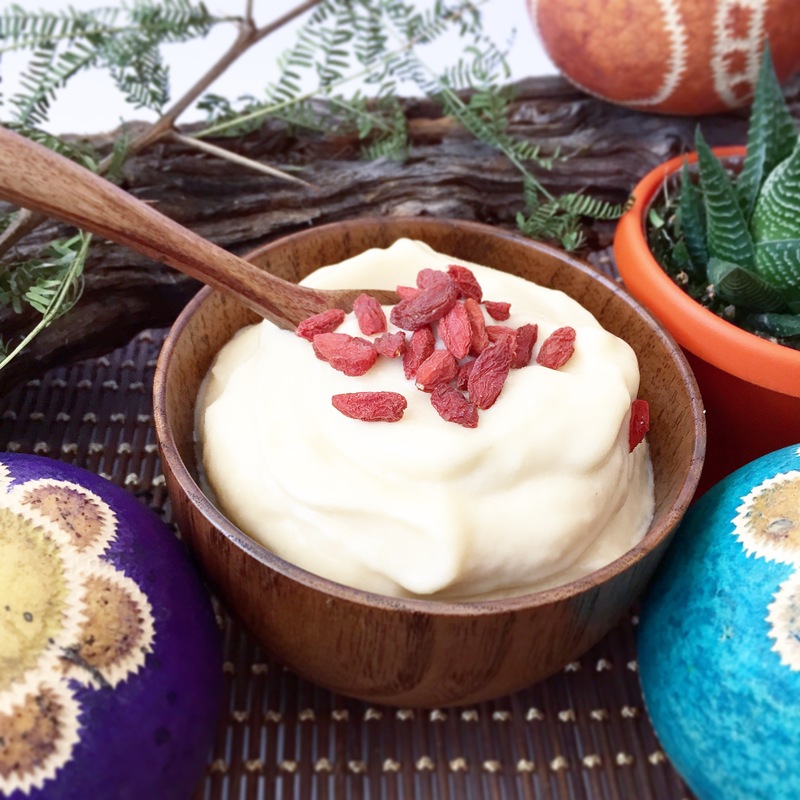 The fruit is a highly nutritious food source, the seeds provide oil (I used baobab oil during and after my pregnancy to prevent stretch marks) and the fibre in the bark is used to make fishnets, cord and clothing. The trunks are a good source of timber and are often hollowed out and used for shelter, grain storage or as water reservoirs. Place all the ingredients in your blender and blend until smooth and creamy, using your tamper to mix as you blend. The amount of honey required depends on the sweetness of the melon. I had a melon that was not very sweet, which is why I decided to freeze it and turn it into ice cream. You may have a melon so sweet that you won’t need any honey at all, so sweeten to taste. This will serve 2 people as breakfast or 4 people as dessert. If you have any left over you can freeze it again. It won’t be quite as smooth and creamy, more like a sorbet, but still delicious.